I am by no means a travel expert, but I have had my fair share of long international flights and travel. In that time I have found some must have items that come with me every time. Hydration is key during travel. Hours stuck in a plane with an air conditioner that uses moisture is dehydration waiting to happen. Keeping a water bottle handy is a life saver. I recommend clear as it may save some potential hassle. Drink more than normal the day before you are going on a long trip to start prepping. Your body will thank you! This is pretty straight forward, but if you are on a long flight with a case of the munchies or sleep through the meal having a back up plan is crucial. My favorite travel snacks consist of carrots, yogurt covered pretzels, and organic dried fruit (without the sulfate preservative). I try to stay on the healthier side of snacks to avoid any extra sluggishness that naturally comes from travel. I recognize this is more for the ladies, but crossbody bag is a life saver when traveling. I recommend bigger, and with a zipper top. It makes pick pocketing a bit harder. I personally used this Steve Madden purse for my last overseas adventure. I know Steve Madden can be a splurge, but if you check Ross and TJ Maxx one can be found for a reasonable price! I’ve tried multiple dry shampoos, but I come back to Batiste every time. Aveeno is my favorite brand of face wipes! I always feel clean and awake after using one! Air planes are known for being cold and uncomfortable. Kick off your shoes and put on a pair of cozy socks (be aware of smelly feet though). Keep them in your personal bag so you don’t have to get out of your seat. To save room roll them up tightly with a rubber band. Being comfortable on a long flight is key. Side note: Don’t wear jeans/pants that need a belt. Perhaps some cozy Christmas sock! Hands down one of my favorite travel items especially for traveling during colder weather. It is so versatile you can wear it as a cute and cozy accessory for your outfit (I would recommend keeping it in your overhead bag until after security; less of a hassle), you can take it off and bunch it up as a pillow to rest your head against, or use it as a blanket as you sleep on the plane or rest in the terminal. Plus, most long flights come with a generic blanket and pillow so the blanket scarf adds to the comfort. Traveling can be so nostalgic! I recommend splurging a little and buying a brand new music album before you go on your trip. As you listen to the new album you have the memories associated with the trip anytime you hear it afterwards. My last trip I bought Alex & Sierra ‘It’s About Us’ album, and I can still remember it playing as I looked out over the Italian coast line and the Tuscan vineyards as my friend and I traveled south on the train. Trust me it is worth it! My current album suggestion would be Canyon City ‘Midnight Waves’ so calm, soothing and beautiful for a peaceful trip. It is cliché and well known, but a true life saver! If you need to save space download one onto your phone. I recommend ‘Through the Eyes of a Lion’ by Levi Lusko. Trust me you will have the flight attendant thoroughly concerned for your mental health because one moment you will be laughing hysterically and the next you are sobbing as you read Levi and Jennie Lusko’s journey through loss. If you can’t sleep on the plane it’s a classic way to pass the time! Remember each country has their own electrical outlets and charges. Just the adapter alone will not work. The voltage is different and our electronics are built differently. The converter changes the voltage so it doesn’t fry your electronic or blow a fuse. Keep it on hand; when you get to another country and have a lay over you are going to need it near by to charge your electronics! The brand I bought for the last time I traveled. A little on the heavy size, but does the job! I hope this list was helpful and somewhat enjoyable! 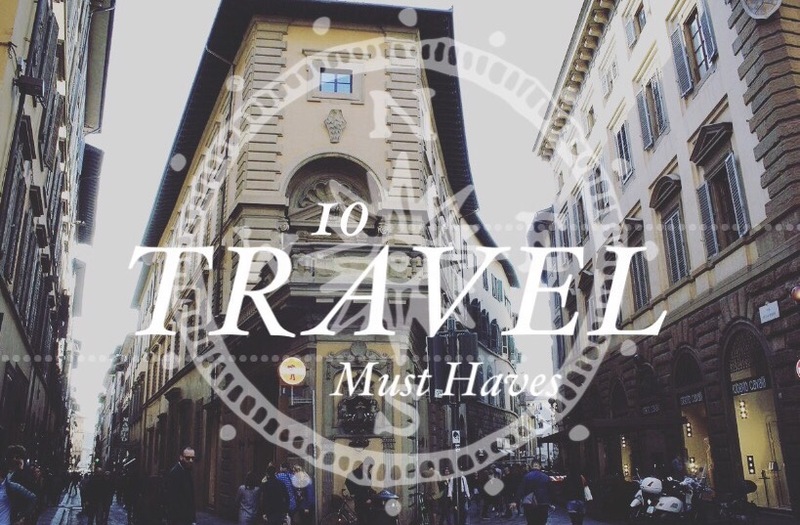 I would love to hear your own personal travel must have’s. Happy traveling friends! !